Access to Justice: three perspectives on equality and the law. ‘I want to tell you a story about the law’. 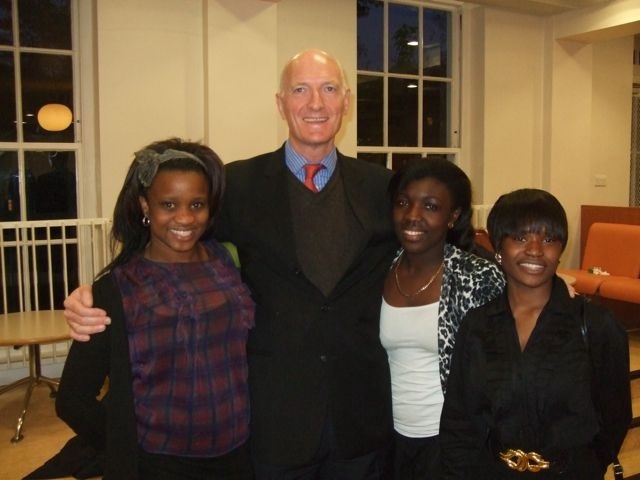 So began Justice Edwin Cameron’s speech at the event ‘Equality and the Law’, organized by Big Voice London and the Commonwealth in England Barrister’s Association, and chaired by Ingrid Simler QC. 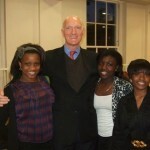 The event featured three judges from different jurisdictions: Justice Edwin Cameron of the Constitutional Court of South Africa, Lord Kerr of the Supreme Court and Justice Taffassee Yirga of the Federal Court of Ethiopia. Each spoke of their own experience of the link between equality and the law. There were recurring themes through all three speeches: the difficulty of ensuring that equality and legal access enshrined in law is enforced in practice, and the challenge of ensuring access to justice in the face of budgetary constraints. Justice Cameron’s account of law in South Africa raised fascinating questions as to how a country can use the rule of law to support an entirely unlawful system of government. In reaction to this, following the end of apartheid equality and diversity have become the watchwords of the South African Constitution. It is the first written constitution to protect sexual orientation, an issue of particular relevance to Justice Cameron who one of the few openly gay holders of public office in South Africa, and also protects diversity of language. However, Cameron recognized that enshrining equality in legal principle is often only the starting point in ensuring equality in practice. The challenges to equality often lie in non-legal inbuilt social prejudices. Cameron made it clear that while the law can used as a framework upon which to build an equal society, genuine equality is a result of more subtle social changes. The difficulty of ensuring legislative principle is enforced in practice was also referred to by Lord Kerr and Justice Yirga. Lord Kerr spoke of his experience growing up in Northern Ireland and the importance of legislation ensuring equal access to education and the prevention of discrimination on the grounds of religion in employment. He argued that peace, however, is unlikely to be achieved in Northern Ireland without fully integrated education. Justice Yirga explicitly highlighted the challenge of corruption in Ethiopia to legal access and equality. While all people are treated equally before the law a lack of financial resources means that laws cannot always be implemented or enforced. Inevitably, the question of legal diversity was also discussed, and the lack of female judges and those from black, minority and ethnic groups on the bench. Quotas have been suggested, but Lord Kerr was reluctant to embrace them as a solution, referring to them as the ‘nuclear option’. While it is clear that quotas carry risks of perceptions of tokenism, it is also clear that the judiciary cannot wait much longer for the long anticipated ‘trickle up effect’, as increasing numbers of female lawyers take seats upon the bench, to come to fruition. The inherent value of events that bring together experts from disparate jurisdictions is in highlighting what can be learnt from each other. South Africa has a highly successful training scheme for female judicial candidates, which could be a transferable model. Comparison also highlights that the United Kingdom has reason to be grateful in some respects. Neither Ethiopia or South Africa have such a widespread legal aid scheme, and while the UK may face cuts Lord Kerr predicted that this may well result in challenges being bought by litigants asserting their right to indispensable legal representation. Leave a reply on "Access to Justice: three perspectives on equality and the law."